AquaBounty Technologies, Inc. (NASDAQ: AQB) shares surged 118.3 percent to close at $4.89. AquaBounty Technologies disclosed that the FDA has lifted import alert on AquAdvantage Salmon. Alliqua BioMedical, Inc. (NASDAQ: ALQA) rose 35.91 percent to close at $3.52. Globus Maritime Limited (NASDAQ: GLBS) surged 33.94 percent to close at $4.44. DXP Enterprises, Inc. (NASDAQ: DXPE) gained 33.03 percent to close at $42.17 after the company reported Q4 EPS of $0.60, compared to $0.29 last year, and sales of $311 million, compared to $265.627 million last year. Tonix Pharmaceuticals Holding Corp. (NASDAQ: TNXP) surged 30.84 percent to close at $2.80 after the company late Thursday announced a new European use patent for its TNX-601 PTSD treatment candidate. 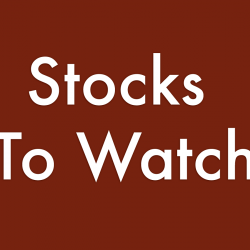 Stellar Biotechnologies Inc (NASDAQ: SBOT) shares gained 28.33 percent to close at $1.54 on Friday after the company reported a share exchange deal with Edesa Biotech. Futu Holdings Limited (NASDAQ: FHL) rose 27.67 percent to close at $15.32. Nature's Sunshine Products, Inc. (NASDAQ: NATR) surged 22.35 percent to close at $8.43 after the company reported Q4 EPS of $(0.15) compared to $(0.19) last year, and sales of $97.37 million, compared to $88.29 million last year. Ra Pharmaceuticals, Inc. (NASDAQ: RARX) shares rose 18.52 percent to close at $25.98. Upland Software, Inc. (NASDAQ: UPLD) gained 18.11 percent to close at $39.91 after the company reported better-than-expected results for its fourth quarter. TrovaGene, Inc. (NASDAQ: TROV) shares rose 16.22 percent to close at $4.80 on continued strength after traders on Thursday circulated word of an FDA abstract document for the company's prostate cancer treatment; analysts at Maxim and Noble Financial reiterated bullish positions on the stock. AutoWeb, Inc. (NASDAQ: AUTO) rose 14.75 percent to close at $3.89 following Q4 results. B. Riley FBR upgraded AutoWeb from Neutral to Buy and raised the price target from $3.20 to $5. Maxar Technologies Inc. (NYSE: MAXR) surged 14.1 percent to close at $5.18. Aerpio Pharmaceuticals, Inc. (NASDAQ: ARPO) rose 14.01 percent to close at $3.50. Phunware Inc. (NASDAQ: PHUN) shares gained 13.83 percent to close at $40.98. Big Lots, Inc. (NYSE: BIG) shares gained 13.63 percent to close at $36.18 after the company reported higher-than-expected Q4 EPS results and announced a $50 million buyback. Selecta Biosciences, Inc. (NASDAQ: SELB) gained 13.3 percent to close at $2.30 after gaining 7.41 percent on Thursday. Energy Recovery, Inc. (NASDAQ: ERII) climbed 13.27 percent to close at $8.88 after the company reported higher-than-expected Q4 EPS and sales results. SCWorx Corp. (NASDAQ: WORX) rose 13.26 percent to close at $6.75. Liquid Media Group Ltd. (NASDAQ: YVR) climbed 12.86 percent to close at $3.1600. PEDEVCO Corp. (NYSE: PED) rose 12.61 percent to close at $2.50. Neonode Inc. (NASDAQ: NEON) shares gained 12.4 percent to close at $2.72. Calithera Biosciences, Inc. (NASDAQ: CALA) shares gained 12.3 percent to close at $5.75 following Q4 results. The Joint Corp. (NASDAQ: JYNT) climbed 11.9 percent to close at $13.45. Red Lion Hotels Corporation (NYSE: RLH) shares gained 11.57 percent to close at $8.29 after reporting Q4 results. Seelos Therapeutics, Inc. (NASDAQ: SEEL) shares gained 11.51 percent to close at $3.39 after surging 96.13 percent on Thursday. Seelos Therapeutics reported an offering for 15.96 million shares via selling shareholders. Funko, Inc. (NASDAQ: FNKO) rose 11.3 percent to close at $19.80. IAMGOLD Corporation (NYSE: IAG) gained 11.01 percent to close at $3.63. Celldex Therapeutics, Inc. (NASDAQ: CLDX) climbed 10.87 percent to close at $5.10 following strong Q4 results. IDT Corporation (NYSE: IDT) surged 9.11 percent to close at $6.23 following Q2 results. MAG Silver Corp. (NYSE: MAG) surged 9.11 percent to close at $10.30. SAExploration Holdings Inc (NASDAQ: SAEX) gained 8.42 percent to close at $3.99 after the company announced $60 million of new projects in Alaska and Southeast Asia. Myomo Inc (NYSE: MYO) rose 8.33 percent to close at $1.30 after the company reported Q4 EPS and sales results above analyst estimates. Vail Resorts, Inc. (NYSE: MTN) gained 7 percent to close at $216.55 after the company reported higher-than-expected Q2 EPS and sales results. Costco Wholesale Corporation (NASDAQ: COST) rose 5.09 percent to close at $227.82 after the company reported stronger-than-expected earnings for its fiscal second quarter. Bio-Path Holdings, Inc. (NASDAQ: BPTH) shares fell 45.96 percent to close at $21.00 in a potential sell off after the stock rose nearly 600 percent over the past few trading sessions. CHF Solutions, Inc. (NASDAQ: CHFS) shares dipped 45.57 percent to close at $4.30 on Friday after the company filed for a $6.21 million offering. Altimmune, Inc. (NASDAQ: ALT) shares declined 36.56 percent to close at $2.88 after surging 50.33 percent on Thursday. Altimmune reported a $14 million registered direct offering. NV5 Global, Inc. (NASDAQ: NVEE) shares fell 32.28 percent to close at $52.15 after the company reported lower-than-expected Q4 EPS and sales. China Internet Nationwide Financial Services Inc. (NASDAQ: CIFS) fell 28.54 percent to close at $3.18. Eventbrite Inc (NYSE: EB) shares fell 24.55 percent to close at $24.46 after the company reported a wider-than-expected Q4 loss and issued weak earnings forecast. Great Elm Capital Group, Inc. (NASDAQ: GEC) shares declined 19.79 percent to close at $3.81. JMU Limited (NASDAQ: JMU) tumbled 19.27 percent to close at $2.22. Translate Bio, Inc. (NASDAQ: TBIO) shares fell 19.21 percent to close at $7.95. AMAG Pharmaceuticals, Inc. (NASDAQ: AMAG) fell 17.71 percent to close at $11.29 after the company reported topline results from its PROLONG trial did not demonstrate any statistically significant difference between the treatment and placebo arms for co-primary endpoints. Orion Engineered Carbons, S.A. (NYSE: OEC) shares fell 17.24 percent to close at $21.80 following Q4 results. El Pollo Loco Holdings, Inc. (NASDAQ: LOCO) shares fell 17.08 percent to close at $12.48 after the company posted downbeat Q4 sales and issued weak FY19 earnings forecast. Bioblast Pharma Ltd. (NASDAQ: ORPN) shares dropped 17.05 percent to close at $12.60. T2 Biosystems, Inc. (NASDAQ: TTOO) declined 16.56 percent to close at $2.62 following Q4 results. American Renal Associates Holdings, Inc. (NYSE: ARA) declined 16.39 percent to close at $10.46 after the company announced a delay in its fourth quarter and full year 2018 earnings release. Cool Holdings, Inc. (NASDAQ: AWSM) fell 16.2 percent to close at $3.31. The Alkaline Water Company Inc. (NASDAQ: WTER) shares dropped 14.06 percent to close at $2.75 after the company priced a 4 million share common stock offering at $2.50 per share. Syndax Pharmaceuticals, Inc. (NASDAQ: SNDX) dipped 14.04 percent to close at $5.39 following downbeat Q4 results. AcelRx Pharmaceuticals, Inc. (NASDAQ: ACRX) shares tumbled 13.03 percent to close at $3.27 after the company reported less-than-expected Q4 sales results. American Outdoor Brands Corp (NASDAQ: AOBC) fell 12.4 percent to close at $9.96 following the release of the company's Q3 earnings. OHR Pharmaceutical, Inc. (NASDAQ: OHRP) dropped 12.15 percent to close at $2.53. HCI Group, Inc. (NYSE: HCI) dipped 12.11 percent to close at $38.12 after reporting Q4 results. ION Geophysical Corporation (NYSE: IO) shares fell 11.39 percent to close at $12.22. 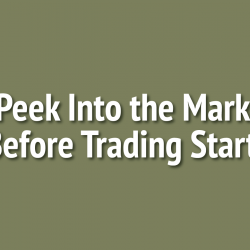 Antares Pharma, Inc. (NASDAQ: ATRS) shares tumbled 11.32 percent to close at $3.37. Cleveland BioLabs, Inc. (NASDAQ: CBLI) shares declined 11.22 percent to close at $1.74. Qualstar Corporation (NASDAQ: QBAK) shares fell 11 percent to close at $5.58 following Q4 results. Ability Inc. (NASDAQ: ABIL) dropped 10.89 percent to close at $1.80. ZAGG Inc (NASDAQ: ZAGG) shares fell 10.8 percent to close at $10.65. Aqua Metals, Inc. (NASDAQ: AQMS) shares fell 10.58 percent to close at $3.55. Chembio Diagnostics, Inc. (NASDAQ: CEMI) dropped 10.31 percent to close at $6.00 following weak quarterly earnings. Liquidia Technologies, Inc. (NASDAQ: LQDA) dipped 9.67 percent to close at $16.26. California Resources Corporation (NYSE: CRC) shares dropped 8.4 percent to close at $19.52. HTG Molecular Diagnostics Inc (NASDAQ: HTGM) shares fell 7.66 percent to close at $2.41 after the company reported lower-than-expected Q4 sales and issued weak Q1 and FY19 guidance. 5 Is Rail Freight Volume Growing?